The Artful Critic: A Simpleton Plan: Soderbergh returns from retirement in larkish "Logan Lucky"
A Simpleton Plan: Soderbergh returns from retirement in larkish "Logan Lucky"
Even after announcing his retirement from feature filmmaking around the release of 2013’s “Side Effects,” Steven Soderbergh has had a busy run on TV, directing HBO’s Liberace biopic “Behind the Candelabra” and being a creator of Cinemax series “The Knick.” Soderbergh ends up eating his words, returning with “Logan Lucky,” a deceptively frivolous comic caper that effortlessly weaves a gentle bit of socio-economic commentary on the American Dream into the light fun of a heist being pulled off at a NASCAR race by seemingly bumbling bumpkins. 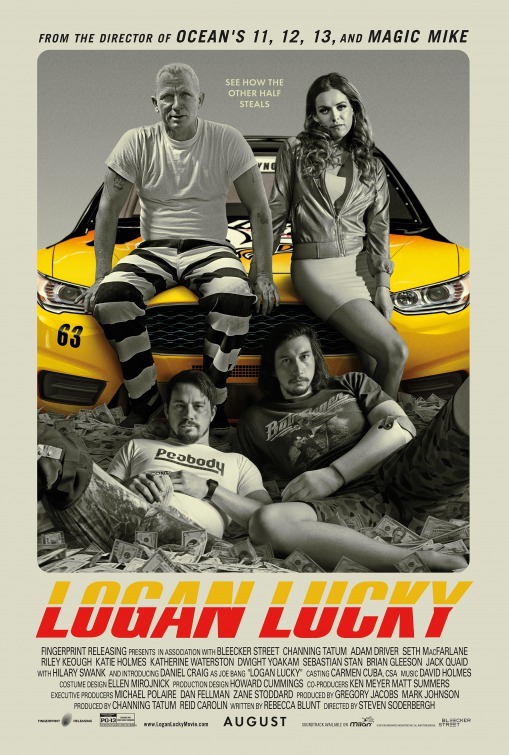 As a twisty heist film, “Logan Lucky” is not always apparent where it’s going, outsmarting the viewer without seeming overly impressed with itself. 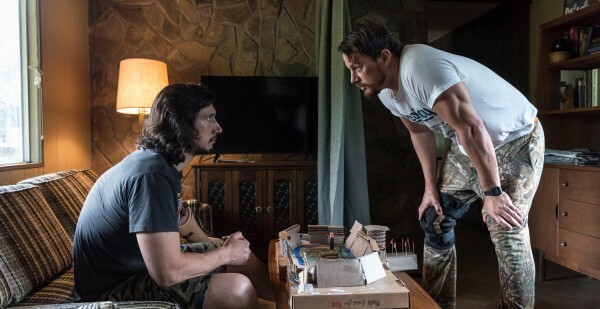 A football star-turned-coal miner and a one-armed-handed Iraq War veteran-turned-bartender, Jimmy (Channing Tatum) and Clyde Logan (Adam Driver) are brothers down on hard times. Jimmy has just been let go for liability reasons—he has a distinct limp—and can’t even afford his phone bill. Then, after a fist fight with obnoxiously arrogant NASCAR sponsor Max Chilblain (Seth MacFarlane) in Clyde’s bar, he gets the idea to rob North Carolina’s Charlotte Motor Speedway during the Coca-Cola 600. First, the Logan brothers will need a veteran safe-cracker in the form of Joe Bang (Daniel Craig), who’s currently incarcerated in Monroe Correctional Facility for five more months. That won’t do, so with the help of the Logan brothers’ gearhead beautician sister, Mellie (Riley Keough), and Joe’s two born-again idiot brothers, Fish (Jack Quaid) and Sam (Brian Gleeson), they will plan distractions to break Joe out for the day and complete the robbery. And, before the end of the day, Jimmy has to catch a beauty pageant for his adorable daughter, Sadie (Farrah Mackenzie), with whom he shares with his ex-wife, Bobbie Jo (Katie Holmes). The Logans aren’t known for their luck, but can they pull this one off? Proudly marching to the beat of its own drummer, not unlike something by Joel & Ethan Coen, “Logan Lucky” is a larkish, offbeat caper that flips the too-cool-for-school slickness of Steven Soderbergh’s “other” heist movies—a news interviewee actually coins the term, “Ocean’s 7-Eleven”—and ends up being better for it. 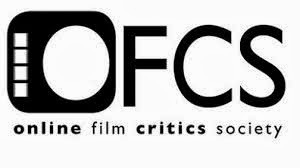 More leisurely and down-home than the splashy “Ocean’s” trilogy, this film's laid-back pacing and unshowy cinematography befit the South, but the screenplay, credited to first-timer Rebecca Blunt (a mysterious screenwriter who doesn’t exist and could be another pseudonym for Soderbergh himself or wife Jules Asner), is rather tightly constructed when the heist gets going. Half of the fun comes in seeing whether the Logans and the Bangs can ultimately pull off the operation, but the getting-there, which includes delivering unbirthday cakes to mild-mannered bank vault tellers, painting cockroaches with nail polish, and prison convicts holding guards hostage until they get their "Game of Thrones" books, is what counts. On paper, the idea of casting Channing Tatum and Adam Driver as brothers from the same womb shouldn’t register, but they make it work. Looking more like a regular working-glass guy than a ripped male stripper, Tatum is terrific as the good-natured, hard-working Jimmy, and Driver complements him with perfect deadpan as the comparably quiet Clyde. As Mellie Logan, Riley Keough (who apparently borrowed her wardrobe from 2016’s “American Honey”) is the Marisa Tomei from “My Cousin Vinny” of the group, glitzed up in gaudy fashion, big hoop earrings, and long, colorful fingernails but smarter than she lets on in how she carries herself and shuts up Bobbie Jo’s husband Moody Chapman (David Denman) about driving cars with manual transmission. 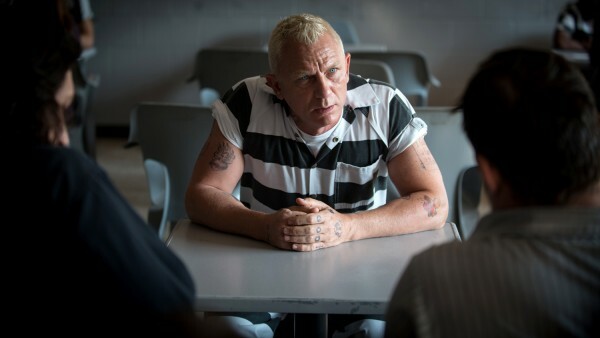 Not one who’s regularly offered to perform comedy on screen, “newcomer” Daniel Craig (who gets an “introducing” credit in the trailer) is having a ball playing Joe Bang. 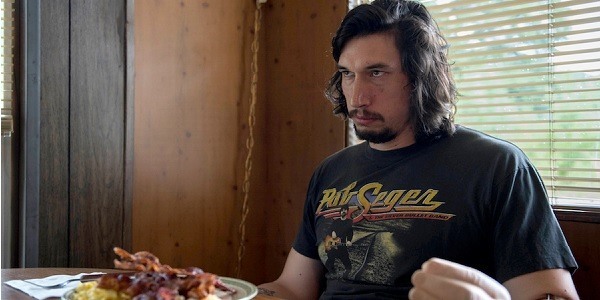 The typically stoic actor earns some of the film’s best laughs when telling the Logan brothers about the low-sodium salt alternative he uses on his eggs and then later explaining the chemistry behind his design of an explosives device with gummy worms. Around every corner, the ensemble reveals an unexpected A-lister, including Katie Holmes, Seth MacFarlane, Katherine Waterston, Sebastian Stan, and Hilary Swank, all of whom make the most of their screen time. Steven Soderbergh definitely has an affection for these characters and never sinks into condescension for this regional milieu of people who could be easy to mock. It’s set up that Jimmy and Clyde Logan are not the brightest bulbs in the tanning bed, but that might not completely be the case. They are colorfully drawn, often surprising, and diverting to hang out with for a couple of hours. Not even the JonBenét Ramsey-like beauty pageant for young girls gets too much of a send-up, “Little Miss Sunshine”-style.” In retrospect, the narrative checks out for the most part, even if the third act’s obligatory rewind gets a bit too cute. As long as one gets on board with the filmmaker’s casual vibe, “Logan Lucky” is a hoot and a half. Now that Soderbergh is probably back in, making a trilogy with the Logans wouldn’t be such a bad idea.